I’m 35 now, and have been out of education for half of my life. It’s been a long time since I had to use BODMAS or do long division. When I heard from Matr recently, I was curious to know more. They offer 1-1 online key stage 2 maths tuition, which covers children age 7-11. 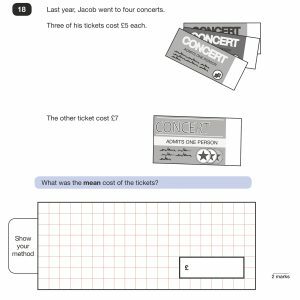 What Does Key Stage 2 Maths Tuition Involve? When you sign up, your child sits an initial maths test. This allows Matr to understand their individual learning needs. After that, your child has 1x session a week. They log in to the interactive classroom via google chrome. Each lesson, topic and question is carefully selected. They are designed to help fill your child’s learning gaps, and to build on their existing maths skills. Each week, your child will receive one-to-one tuition, from the same specialist maths tutor. This takes place in Matr’s secure online classroom. Matr closely follow the national curriculum. So you know that whatever your child is learning in school is being expanded on and cemented during their online key stage 2 maths tuition. 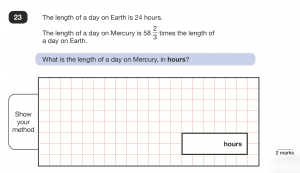 Why Use Matr for online Key Stage 2 Maths Tuition? Before Matr got in touch, I thought I was pretty good at maths. I thought I would have no issues at all coaching Syd through Key Stage 2 without help. I was wrong! Once I’d looked at some of the key stage 2 test papers, I realised how rusty I was! DO YOU KNOW THE ANSWER TO THIS? I’m a whizz when it comes to arithmetic, but questions like these are definitely outside of my comfort zone. I did manage to work out the answers eventually, but it took me a good few minutes! There are loads of reasons to opt for online key stage 2 maths tuition. Perhaps you (like me) are rusty, and not confident helping your child yourself. It could be that you work long hours, and there aren’t enough hours in the day for you to revise with your child. Perhaps your child has missed a lot of school due to illness, and needs help catching up. Whatever the reason, it’s worth looking at Matr if you need a little help. CAN YOU ANSWER THIS ONE? How Much Does Matr Cost? 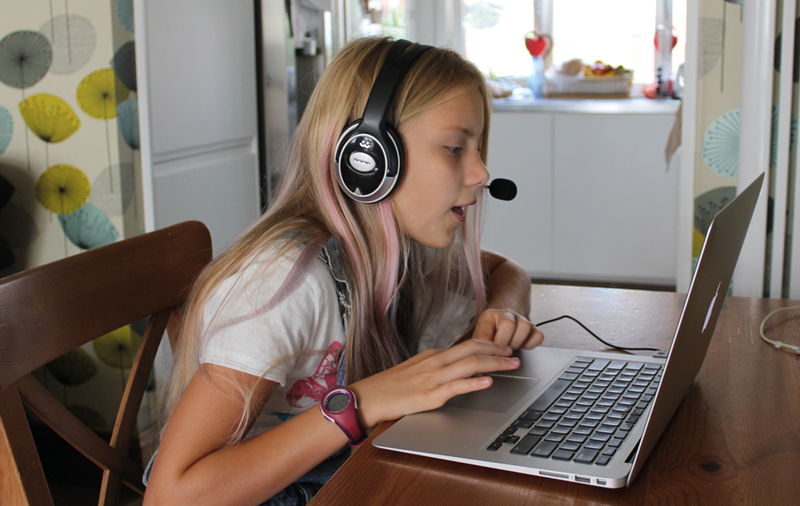 Matr online key stage 2 maths tuition is reasonably priced in my opinion. You can choose from 2 packages, depending on your child’s needs. The most popular package costs £39.99 a month (or £9.25 a lesson). Your child will have a set time to complete their weekly lesson, and Matr do their best to make sure they will have the same tutor each time. Speaking of tutors, they all have to pass Matr’s online teacher training and safe guarding programmes before they start. Matr also analyse every session to track and improve the Tutors’ performance. I am a busy mum of two. My eldest, Sam is 7 years old and has profound learning difficulties. Sam definitely won’t need maths tuition any time soon. (He can’t talk yet, never mind recognise when to use bodmas). 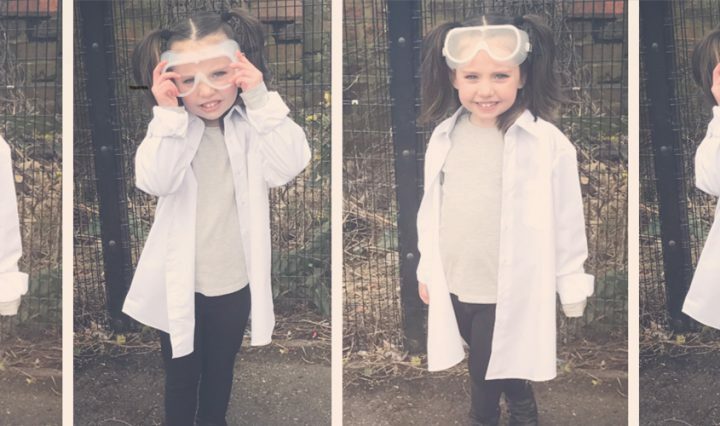 My 6 year old daughter is excelling in all areas at school at the moment. So much so, I’m sure it won’t be long until her maths skills are far beyond my own. When that happens, I won’t hesitate in signing her up for Matr. With their back to school offer, there’s nothing to lose. (You’ll get a full refund if you’re not happy with the service). I think an online maths tutor would be better than a face to face tutor for Syd. She gets distracted really easily in the classroom. It’s also less worrying for me than leaving her in a tutor’s company. Finally, if you’ve enjoyed this post, why not check out more of my education posts?